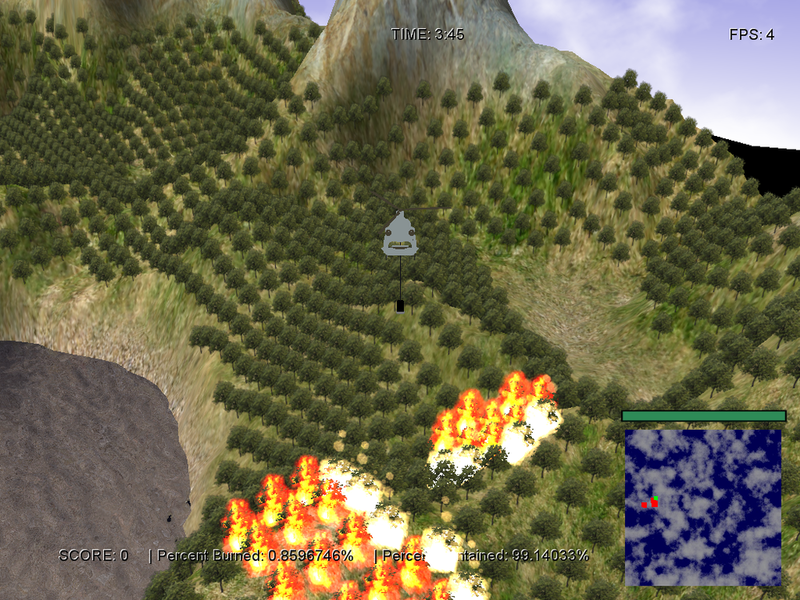 Helicopter Firefighter is a game that emulates piloting a firefighting helicopter. 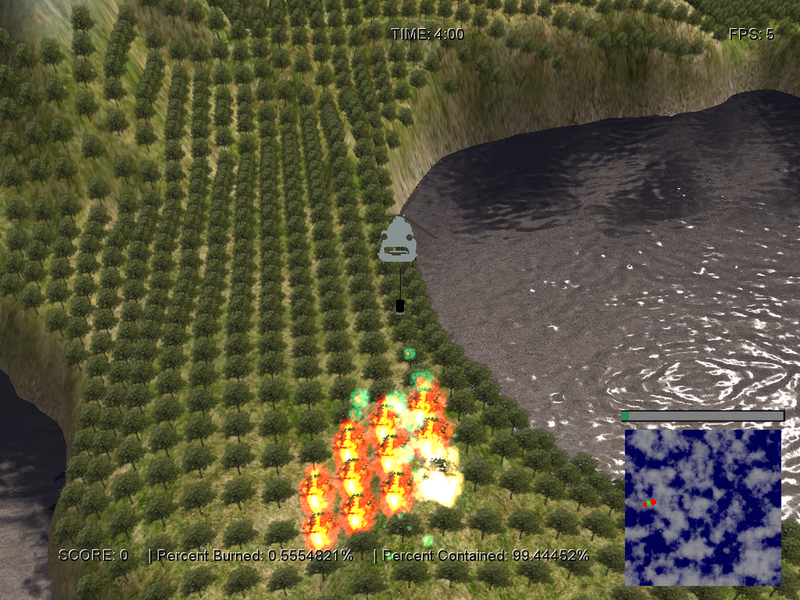 Presented with a landscape where fire is spreading fast the player is tasked with extinguishing the fire by dropping water from the helicopter's bucket. 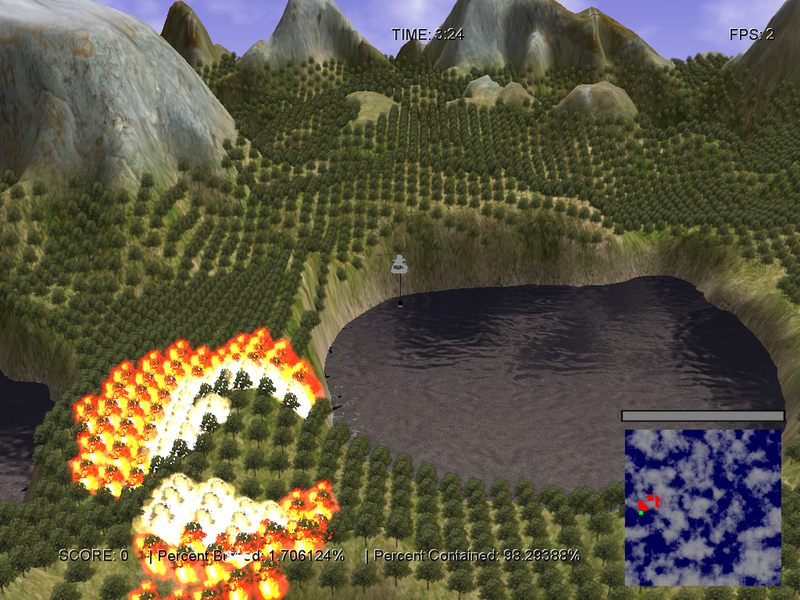 The player will need to manage time between extinguishing fire and refilling the bucket in the nearby lakes. 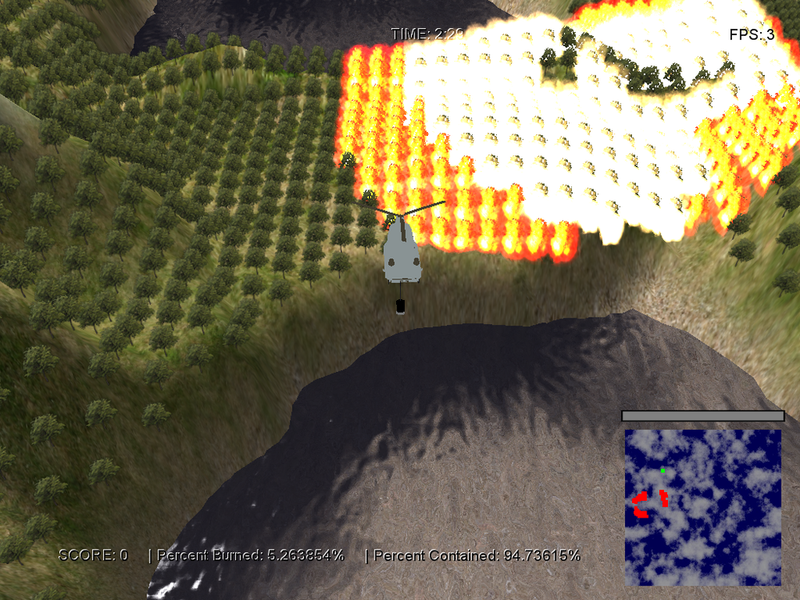 Helicopter Firefighter was developed using XNA and C#. 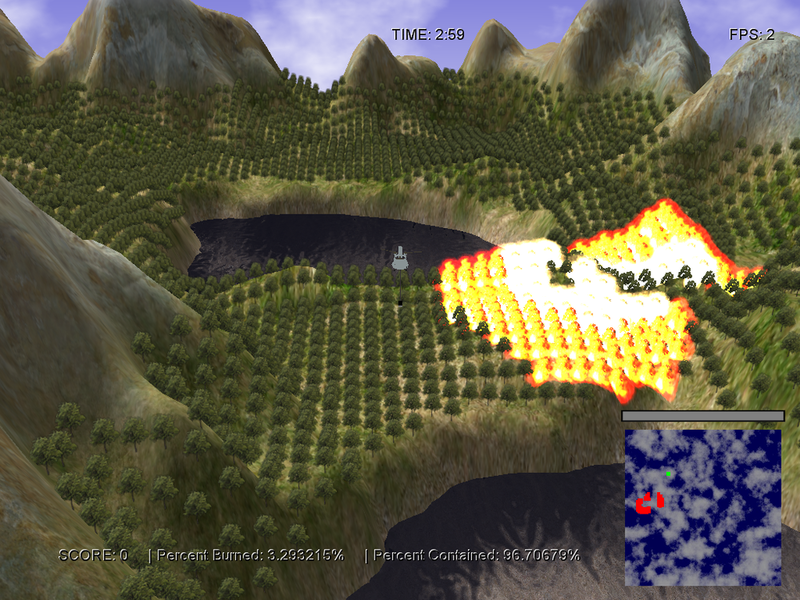 I was partnered in development with Matthew Gizbert and Nicholas Shires.